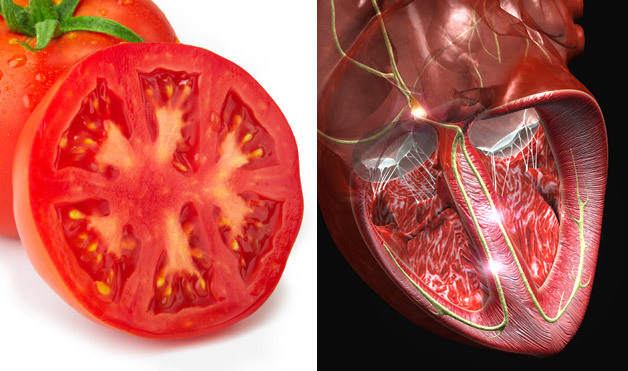 Slice open a tomato and you’ll notice the red veggie has multiple chambers that resemble the structure of a heart. Studies have found that because of the lycopene in tomatoes, there is a reduced risk for heart disease in men and women who eat them. If you mix them with a little fat, like olive oil or avocado, it will boost your body’s lycopene absorption nearly tenfold. Cooked tomato is a good choice because it is usually cooked with a little oil. 2 Comments on "Have a tomato"